Bill Gates closed his personal Facebook page in 2008. Early in 2010 he started again with a Facebook fanpage. Within less than 30 days, the page had 50,000 fans and 150,000 four months later. 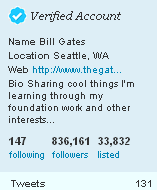 On Tuesday, 2010-01-19, Bill Gates began using Twitter. After only two days, he had more than 260,000 followers and 850,000 by early May. Can we repeat his success? Here are some suggestions that will help make a difference. I have Facebook personal and business pages and have largely different connections on each. On my personal page, I talk about things that I am doing socially whilst on the fan pages, these are purely about events, information and sharing on the topic of the page. I use Facebook for purely professional matters. 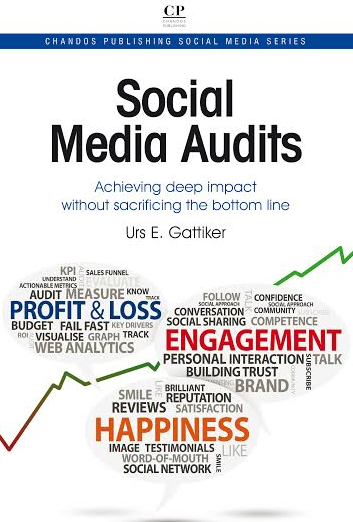 We discuss measurement issues on my personal page, as well as on our ComMetrics fanpage and the Europe – Social Media Metrics group. Similar to Karen Purves’ situation, the overlap between these pages is probably no more than 40 percent. Bill Gates did not want to approve 8,000 friend requests each day for his personal page. Nor did he want to deal with wall posts that could be considered harassment. These issues are easier to manage with his fanpage. My advice: To protect the ever decreasing privacy you still enjoy, keep your private life – including snapshots of your loved ones – off Facebook, Twitter, Bebo, Second Life, etc. Your grandchildren will appreciate it. The advantage for Bill Gates is that he is both a personality and represents a major brand (Microsoft), as well as the Bill & Melinda Gates Foundation (known to be the number one donor to various aid programs and initiatives around the globe). Accordingly, re-tweeting his tweets is far more exciting than re-tweeting ours – it’s that simple. As a movie star, Demi Moore is in a super-league of tweeters because her every single tweet is of interest to her millions of fans (and followers). Unfortunately, neither yours nor my tweets will ever be of relevance to so many people. Nevertheless, social media like Twitter or Second Life can be used effectively by referring the crowd to great content on our website and corporate blog. My advice: Create valuable content for the audience you want. Having 10 percent of your 1,500 followers click on one of your tweeted links might be worth more than getting ignored by 15,000 followers who get that kind of news elsewhere. Social media is not really a marketing platform, it’s a consumer one. 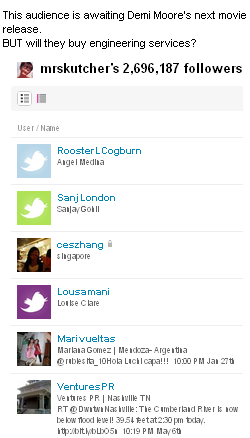 It is a place where consumers can share information such as book reviews, comments about products and much more. I doubt that Bill Gates tries to get donations with the help of his tweets, but he uses Twitter to sensitize people to the issues he is concerned about. Nevertheless, social media is the place where a potential customer gets introduced to your brand, while you actually sell it on your website and blog. My advice: Consumer brands can use social media to distribute customer information, discount coupons and run sweepstakes that will create excitement and engagement (e.g., win a free trip to South Africa and tickets to the 2010 FIFA World Cup). Unfortunately, these days we seem to focus a bit too much on numbers with Twitter or Facebook. As we previously mentioned, a million Twitter followers does not necessarily sell a pair of shoes for your luxury brand. Of course, it is possible to gain popular acceptance of a social media tool by being so prolific to start with that people cannot help but use it. For instance, Google leveraged its 180 million Gmail users to launch Google Buzz, a smart attempt to integrate Twitter with Facebook’s commenting and ‘like’ system. The information is made easily accessible via Google Search. In the end, it is less important whether Google Buzz succeeds, but that tweets and Facebook wall updates are now available through Google search. This is necessary is Google wishes to continue to dominate the search market that is key to its continued profitability and growth. Unfortunately, while this is a neat trick, it only applies if you can do it and maintain the same competitive advantage. Most companies or brands do not even come close. My advice: It is about user engagement with the followers you have, whether millions or just one. If they read your blog, attend your webinars and participate in user forums, your are increasing engagement with your target audience. 1. The best social media campaigns refer people to the best content. This means things people can download, such as eBooks, white papers, videos, valuable information and advice or help posted on a corporate blog or website. 2. Let blockheads use metrics that only blockheads measure. Using follower counts, fan numbers or group size, including re-tweet numbers, as a measure of success in social media is not necessarily helpful. There are always blogs that break all the rules, but are considered hugely successful. But I do not recommend that you start breaking all the rules right away – you have to know what rules to break to get ahead, and that means learning them all from the beginning. Nevertheless, you may still be surprised that posts or tweets that you consider your best sometimes get less traffic than others. What is your take? How do you see these issues? Have you tried to apply any of these approaches for your products? Worked, failed – share, please! Please let us know in the comments! 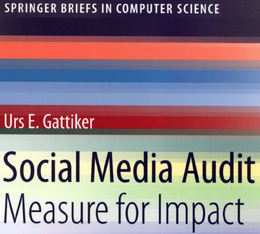 2010-05-19 – What makes us better at social networking? Attend our webinars by registering for ComMetrics University – we help you improve your social media performance faster.